Travelwear and activewear are perfectly balanced in the Prologue Collection, offering wearers versatility between plane, town, and trailhead. The Prologue Refuge Jacket takes warmth up a notch for the winter months with Outdoor Research proprietary VerticalX™ insulation technology. This all-new, exclusive technology delivers resiliency, breathability, and stretch in a synthetic insulation that keeps you warm even when wet. 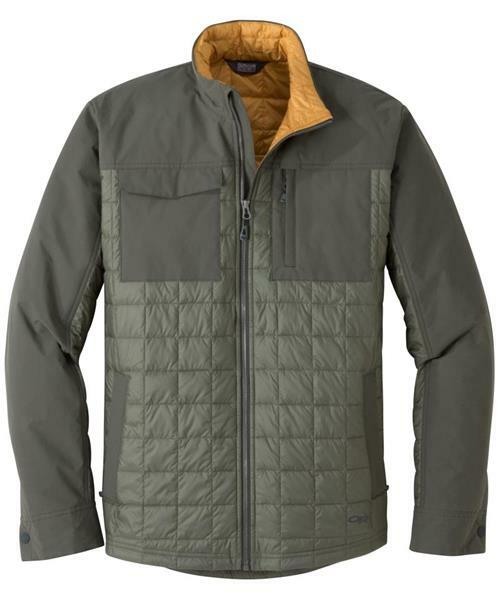 The Prologue Refuge Jacket features functional performance chops like a water-and-wind resistant exterior, single-separating front zipper, and dual zip hand pockets, while stylish details like a cuff gusset with snap closure and eye-catching design lines add a touch of urban aesthetic to an all-around adventure wear piece.